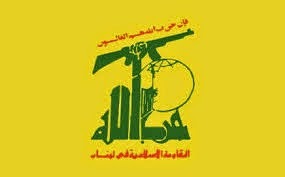 The much-anticipated Hezbollah International Financing Prevention Act of 2014 has made it out of committee, as expected. There are believed to be over 300 co-sponsors of the bill, in the House and Senate, and the bill should become law, on the fast-track, sooner, rather than later. The provisions of the Act allow the Secretary of the Treasury to deny access, to US financial markets, of any foreign financial institution that facilitates Hezbollah's terrorist financing program. In the Western Hemisphere. 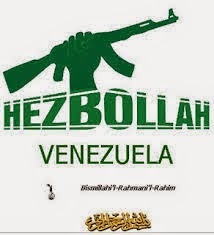 Hezbollah Latin America launders its narcotics and arms trafficking profits through Venezuelan banks, and on into Panamanian financial institutions, from where it is transferred to Hezbollah-controlled accounts in the Middle East and Central Asia. This means financial institutions in North America and Europe, whose customers are engaged in trade and commerce in Venezuela and Panama, should adjust their risk levels accordingly, for a ruling by Treasury, to the effect that a specific bank is working with Hezbollah, and is therefore blocked from the US financial structure, could be costly, not only to your clients, who may have receivables outstanding, but your bank itself could sustain a major monetary loss. It may be prudent, at this time, to review the scope of your exposure, especially regarding Venezuela, whose banks are most likely to be sanctioned first, without any prior warning, and to take immediate action to reduce risk to the lowest possible level. If you have been reading how outgoing Panamanian President Ricardo Martinelli has signed two dozen eleventh-hour pardons for corrupt government officials, lawyer-PEPs, known career criminals, as well as for over forty police officers who used excessive and lethal force on demonstrators, rest assured that all those pardons are presently on hold. The legislature must approve them, and all indications are that they will not be validated. The outgoing ministers, who have been implicated in the insider trading scandal involving Financial Pacific, may have to face justice in Panama after all, as their pardons will not survive. That is, if the US or Canada don't charge them first, for many of the victims were American and Canadian nationals. 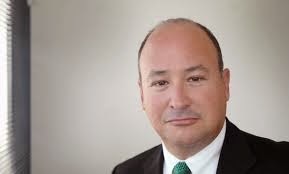 Incoming President Varela, who is about to take office, has stated that Martinelli's pardons will not stand. Martinelli did manage to get approval, through, for thirty bodyguards for himself, and an additional dozen for his family. We wonder what he is afraid of ? Russell Adler, the A in Rothstein Rosenfeldt Adler, Scott Rothstein's law firm, where Rothstein perpetrated a billion-dollar Ponzi scheme, has been sentenced to two and one-half years in Federal Prison, for his role in making illegal campaign contributions, to presidential and senatorial election candidates, intended to influence and curry favor among elected government officials. He must also serve two years of Supervised Release, after he has completed his prison term. Adler, who was not charged with any direct involvement in Rothstein's investment scheme, which sold interests in ficticious court settlements, pled guilty to Federal Election Campaign Law violations. On June 19, 2014, the Supreme Court of Florida disbarred Adler, who had been engaged in the practice of law in Florida for more than 25 years. He reportedly owes more than $400,000, in Federal taxes. He recently asked the Court to impose a non-custodial sentence in this case, asserting that his involvement was an isolated, aberrant event, in an otherwise outstanding law career, but the Court, at sentencing, reportedly questioned how he could not know about the Ponzi scheme operating at his firm, where counterfeit court documents were prepared, and bogus financial statements were created. A note to any unindicted participants on the Rothstein Ponzi scheme; at the sentencing, the prosecutor reportedly mentioned that there will be more defendants named. Compliance officers conducting due diligence investigations on potential bank clients generally pas over innocuous Internet information, such as social media, or client-created content, but they do stop and review information from third parties. This so-called positive content may be as bogus as the client's cover story about what he really does for a living, namely financial crime or narcotics trafficking. Anytime your Internet research lands upon what appears to be something positive that your target has done, check carefully, for the site may just have been cleverly presented to give you the impression that a third party has posted it. In truth and in fact, the positive information about your target may have been posted by a reputation restoration firm, cleaning up their client's dirty image. You may have to read between the lines, though. For example, for those readers who have been following my stories about the escapades of the convicted fugitive Dutch white-collar criminal, Okke Ornstein, you will see, if you Google him, that he claims to be an award-winning journalist in Europe. A closer examination, however shows that a business associate of his merely recommended him for the honor, and there's no evidence that it was ever awarded, because it was not. These tactics, by reputation restoration firms trying to clean up their customers' lives online, also include blatant false information, which appears to be legitimate, because it was posted by a third party, or organization, but actually was a clever invention, with no factual basis. Always verify anything you read on the Internet, through a trusted source; this may mean contacting legitimate information outlets via telephone or email, but it may be the only way that you can learn that the good items online are fabrications. AVOIDING THE REPUTATION RESTORATION MINEFIELD IN KYC INVESTIGATIONS* . More details are available in the article I have posted to this blog on June 18, 2014, which can be seen by accessing the link below**. 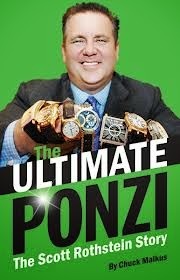 The attorney for Russell Adler, the law partner of convicted billion-dollar Ponzi schemer, Scott Rothstein, has asked for probation and/or home confinement (house arrest) for his client, who entered a guilty plea to Federal Election Campaign Law violations, in US District Court in Fort Lauderdale*. Attorney Adler fronted for a significant amount of illegal contributions, to both US Presidential, and Florida Gubernatorial, campaigns. (1) That his crimes constituted aberrant behaviour, in an otherwise completely law-abiding life. (2) That he has a severe medical condition, namely diabetes. (3) That, if not confined in prison, he can make restitution payments to the victims of the Ponzi scheme. (4) That he pled guilty to a non-violent crime, and that he is not a danger to the community. (A) This was a $1.2bn Ponzi scheme, and the principal actor received a 50-year sentence. (B) Attorneys, as professionals in whom the system places a great deal of trust, are held to a higher standard of care than other defendants. (C) The Court has sentenced a number of minor participants in this Ponzi scheme to prison terms, including attorneys, and even sent them directly to be incarcerated, after sentencing, without giving them time to get their affairs in order. This demonstrates that the Court is exercising a firm hand, and seeking to deter others who might be tempted. (D) The defendant sought to game the political system, for his partner, through campaign contributions, which may have prolonged the Ponzi. (E) The defendant enjoyed an extremely affluent standard of living as the direct result of the Ponzi scheme. It is humbly suggested that he serve a portion of his sentence at a halfway house, provided that he is eligible, and that there is room for him, but he should not get a pass on incarceration. * Case No. : 14-cr-60050-JIC (SD FL). 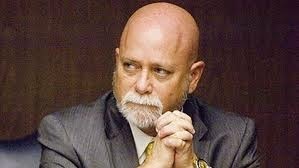 ** Adler has filed objections which, if adopted, would reduce his guidelines range to 24-30 months. 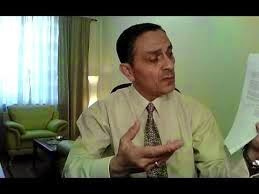 The trial judge in Richard Chichakli's criminal case, in US District Court in New York, conducted a competency hearing on June 24. The defendant's appointed counsel had expressed to the Court his concerns about Chichakli's ability to assist his lawyer, and a medical professional had examined him, and rendered a report, which has not been made public, due to privacy laws. Chichakli insisted on representing himself at trial, though he has no legal training or experience, and as an experienced accountant was surely well aware of the pitfalls of acting as his own attorney, in Federal Court, but whether he is competent to proceed has become an issue. The Court's decision will affect all subsequent proceedings. The defendant has already been convicted of OFAC sanctions violations; he has not yet been sentenced, due to a flurry of post-trial motions that he has filed since his trial. The Court has laid down a briefing schedule for both sides, during the month of July, regarding his motion for a new trial, but there are numerous other motions which require disposition, and there has not been any ruling upon any of them. Court observers of the Viktor Bout and Richard Chichakli cases, especially those who have anticipated that one or both of the defendants would reveal the extent of their association with the American intelligence community, and participation in operations whose exposure might be viewed unfavorably in the court of world opinion, are watching the Chichakli case closely. President Ricardo Martinelli, according to reliable Panamanian sources, intends to pardon all the ministers in his government who have made illegal stock profits in the Financial Pacific insider trading incident. 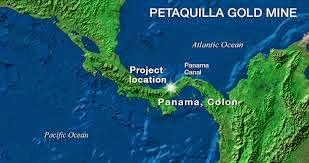 It is rumored that he will make the announcement this Friday; Martinelli himself reportedly also participated in taking huge profits, regarding the Petaquilla Mine, based upon inside information not available to the investing public. The Supreme Court of Justice, Panama's highest court, has the power to set aside a presidential pardon, and it has done so in the past where warranted. Incoming President Varela, who was elected this year on a reform platform, could choose to prosecute the ministers implicated in the scandal, and petition the Court, so don't think that the guilty parties will escape prosecution. The victims include American, Canadian & European investors; whether American or Canadian securities regulators will bring civil or criminal charges, in their respective countries is not known. A number of the ministers have had their US visas revoked, but still enjoy the ability to enter Canada, where they have reportedly invested millions of dollars. If you have not read my recent article on their investment there, you can access it here*. 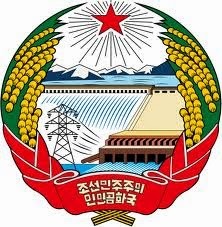 Compliance officers at Miami-area banks whose customers trade with Venezuela will shortly have a new sanctions risk to deal with: The Venezuelan Ministry of Foreign Affairs announced* yesterday that its has granted permission for the Democratic Peoples' Republic of Korea, more commonly known as North Korea, to open an embassy in Caracas. The financial crime and sanctions consequences of a North Korean diplomatic mission in Venezuela cannot be assessed at this time, but the possible impact could be serious. North Korea, which labors under severe US and international sanctions, is known to use its embassies and consulates to move counterfeit money, sell narcotics and counterfeit prescription drugs, and evade sanctions. This embassy could serve as a window through which North Korea could covertly access the US financial structure, with Miami first on the list. How can a Miami bank be sure that the Venezuelan company purchasing goods or services from its customer is not fronting for a North Korean purchasing agent ? 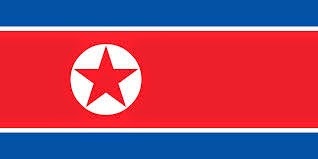 The opening of the embassy increases the risk that US nationals, and corporate entities, could later be subject to regulatory fines and penalties, for unwittingly trading with North Korea, especially when they do not now operate an effective compliance department, as many American import-export companies sadly do not have. Again US banks must raise the risk levels for dealing with Venezuelan customers. * Published in Official Gazette No. 40.438 . 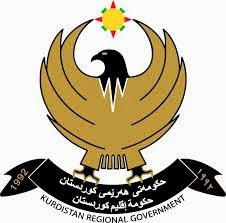 If you weren't watching all the tumult in northern Iraq this week, you may not have noticed that President Barzani, of the Kurdistan Regional Government, has bluntly stated that the time is ripe for the autonomous Kurdish Region to go its own way, meaning become independent of the Central Government of Iraq, as a sovereign nation. 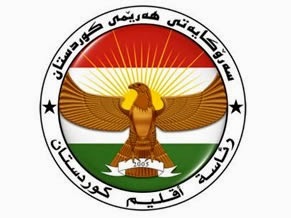 While that is a positive development amid the otherwise deteriorating situation in Iraq, it could also upset those Iranian individuals, and companies, who prefer that their large accounts in Kurdish banks not be required, by newly-appointed regulators or compliance officers, to be identified as Iranian, or to prove legitimate Source of Funds, or the identities of Beneficial Owners. While the present autonomy of the region has fostered a total lack of AML/CFT and sanctions compliance regarding Iran, this could rapidly change with independence. Money launderers prefer to move endangered funds long before they are at risk. Therefore, should your compliance staff notice any large transfers, coming from financial institutions in the KRG, or originating from there, and passing through one or more intermediary banks, you might want to institute enhanced due diligence procedures, on the funds, the remitter, and the recipient. The last thing you want in 2014 is to be nailed for Iran sanctions evasion activity, and Iranian commerce with the KRG, and the fact that Iranian funds transfer into and through Erbil, into your bank, is a real possibility. 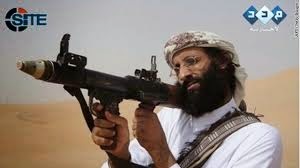 The Second Circuit Court of Appeals has published a redacted version of the "Memorandum for the Attorney General," dated July 16, 2010, which details the legal authorities that were relied upon in the drone killing of of Anwar Al-Aulaqi, a terrorist who was an American citizen. It was released in the case styled New York Times, et al v. Department of Justice, Department of Defense, and the Central Intelligence Agency, Case No. : 13-422 (2nd Cir. 2014), as an appendix to an Opinion, in a Freedom of Information Act case seeking release of the Memorandum, which was a classified document in its original form. 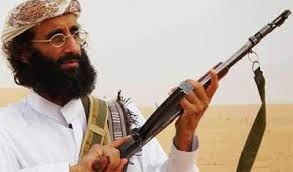 The subject of the Memorandum, which contains extensive citations to authority, and presents its arguments in the manner of a law review article, is: Applicability of Federal Criminal Laws and the Constitution to Contemplated Lethal Operations Against Shaykh Anwar Al-Aulaqi. Its author, who has recently been appointed to a Federal judgeship, has presented a scholarly analysis, with footnotes, of all relevant case law, and has concluded that sufficient authority exists for attacks upon American nationals who pose a terrorist threat to US citizens. Readers who wish to review the lengthy Memorandum, can find it here. * Please note that it appears after the pleading, starting on what would be page 67 of the document. The blank segments are portions said to be redacted on national security, or intelligence, grounds. Buffalo, New York-based M & T Bank, has been ordered by a Federal Judge to forfeit $560,000, representing the amount of drug profits reportedly laundered through one of the bank's Maryland branches. Additionally, approval of a proposed purchase of a New Jersey savings & loan has been delayed. Reports in local media state that the bank has incurred $60m in new costs, for compliance staff and AML programs. (1) One month of incarceration. (2) Eight months of home confinement (house arrest). (3) Two years of Supervised Release, the Federal system's post-prison supervision program. (4) Forfeiture of $5000, the approximate amount of money that she was paid by a representative of the traffickers. The money laundering charges brought against her were dropped, and she was allowed to plead to a single count of Failure to File Currency Transaction Reports (CTR). I fully understand that she was cooperating with law enforcement, as several of the pleading in the court file are sealed, and unavailable to the public, but as the head teller, she should be held to a higher standard than a minor bank employee. While there may be mitigating circumstances here, Her sentence sends the wrong message to the financial community: that, if caught, you will only suffer a minor inconvenience, provided that you cooperate with the authorities. Future prospective employers, when seeing what she pled guilty to, may very well dismiss the seriousness of the case as simple negligence, especially after the passage of time. Please, let the punishment fit the crime. If you are following the progress, through Congress, of the Hezbollah International Financing Prevention Act of 2014*, you know that it has sufficient traction for swift passage. The bill, which details the sordid activities of the Specially Designated Global Terrorist organization, from the bombing of the US Marine barracks in Lebanon, to its military support for the dictatorial Syrian regime, has real teeth, and could prove fatal for those Venezuelan financial institutions that have been assisting it in terrorist financing. 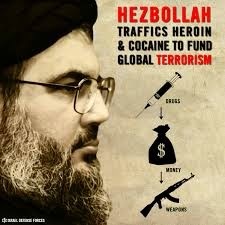 "(A) Knowingly facilitates the activities of Hezbollah, including its agents, instrumentalities, affiliates, or successors. ;"
"(B) Knowingly facilitates the activities of a person acting on behalf of, or at the direction of, a person described in subparagraph (A);"
"(C) Knowingly engages in money laundering to carry out an activity described in subparagraph (A) or (B);"
"(D) Knowingly facilitates a significant transaction or transactions that provide significant financial services, to carry out an activity described in (A), (B) or (C)..."
Considering that a number of Venezuelan banks, both in Caracas, and in their overseas activities, notably in Panama, have been engaged in providing material assistance to Hezbollah, in the repatriation of drug profits back to its Middle East headquarters, this new law will give Treasury the discretionary ability to shut out those banks from the American financial system. Such a move would, in essence, be fatal to their operations, as their clients would, en masse, flee the banks for those who could still maintain correspondent relationships with US banks. Therefore, in an overabundance of caution, compliance officers at American banks, and NBFIs, that have any financial exposure, outstanding indebtedness, extension of major credit, or investments in Venezuela, should review their potential exposure, with an eye to reducing it, for risk management purposes. One can only imagine the consequences, should one of your Venezuelan correspondents be so designated, given ongoing transactions, funds outstanding, and pending international transactions. There is a potential for major losses here, so exercise prudent risk management, and examine your current situation, regarding both Venezuelan banks, and Venezuelan customers, as any US-imposed restrictions will certainly interfere with your bank clients' ability to cover their obligations to American financial institutions. Richard Chichakli, in yet another Pro Se post-trial filing, has moved to vacate the judgment entered by the Court after the jury verdict, pursuant to Rule 33(b)(1), F.R. Crim. P., and has requested a new trial, based upon what he labels as newly-discovered evidence. he alleges that government witness Henry Gayer, who was an officer at the Miami aviation firm where Chichakli attempted to purchase an aircraft, committed perjury. (1) The defendant asserts that the government witness, Gayer, perjured himself in his trial testimony. (2) That his testimony hurt the defendant. (3) That the testimony was material in obtaining a conviction. 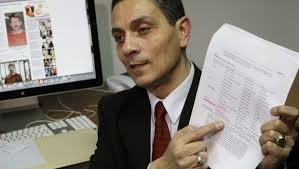 Chichakli says that Gayer lied, when he stated under oath that he did not know about the defendant's OFAC status, which precludes business transactions with US persons, and that the Government knew that he was lying. The defendant states that the trial contains admissions by Gayer, to the effect that he knew about Chichakli's SDN status, and was aware of the blocking order against the defendant. According to Chichakli, the Government was complacent with the lies, in order to sway the jury into convicting him, using false testimony. Therefore, he argues, he was wrongfully convicted. There are a number of pending motions, most filed post-trial, and most filed by the Defendant. Where newly-discovered evidence is alleged, the defendant in a federal criminal case has, pursuant to the rule, three (3) years after entry of the verdict to move for a new trial. Whether the contrary trial testimony constitutes newly-discovered evidence will be determined by the Court, but if there is an adverse ruling, the motion will probably be dismissed, as any other grounds for a new trial must be filed within fourteen days after the verdict, according to Rule 33(b)(2). * United States vs. Bout, et al, Case No. : 09-cr-01002-WHP (SD NY). As promised, I have created an interactive Webinar to discuss the methods that I employ to cut through the Internet trash created by reputation damage control firms. You can find the details below. Participating with me on the presentation is my good friend, Robert Goldfinger, who will explain some of the more technical issues, as well as our solutions. The Webinar is complimentary. 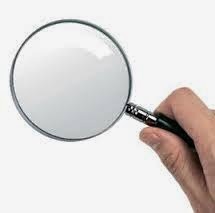 Due diligence and enhanced due diligence investigators. Compliance officers and BSA/AML officers. Individuals responsible for SAR filing. Audit and Risk Management Specialists. o When disinformation runs rampant on the Internet, can you perform due diligence ? o Are there techniques and methods to cut through the glut of internet fluff, and identify your target ? o Can technology aid you in evading material generated by reputation damage control firms ? o Do you discard the off-the-shelf resources that are no longer effective, and what do you replace them with ? o What are the most efficient ways to utilize negative news for due diligence and compliance ? Working as a securities regulator in the Republic of Panama can be hazardous to your health. 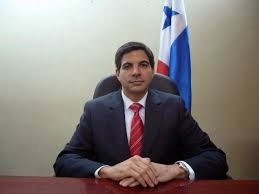 An attempt was made this week, upon the life of Gustavo Gordon, an investigator with the Superintendent of Securities in Panama. he was stabbed three times, but survived, and is presently in hospital, recovering from his wounds. Sr. Gordon was, at the time of the attack, en route to the office of Financial Pacific, the investment firm alleged to have facilitated millions of dollars in illegal insider trading profits, reportedly taken by outgoing President Ricardo Martinelli, and several of his ministers; Gordon was investigating the case. The role played by the American broker, Gary Lundgren, who is closely linked to President Martinelli, is reportedly part of the investigation. everyone involved in the case has been targeted. The Superintendent of Securities, Alejandro Abood, resigned after receiving 40 death threats at his home. 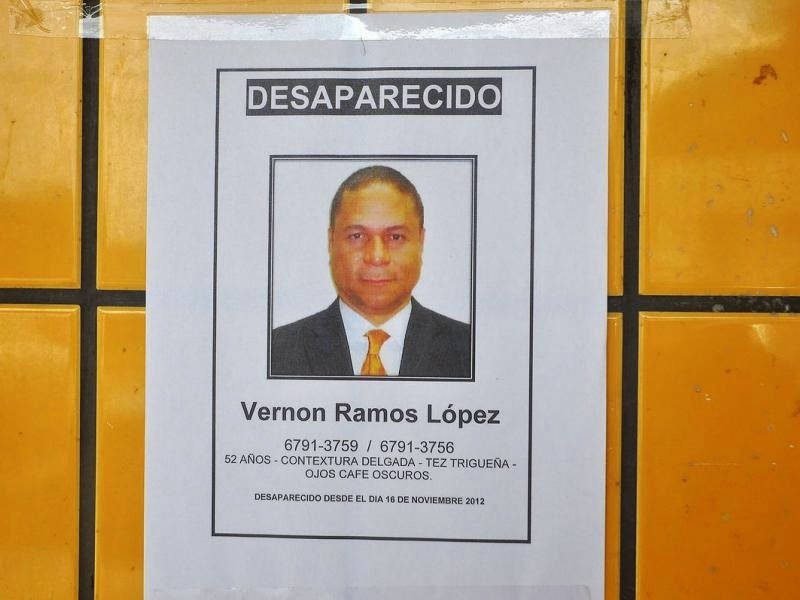 Another government regulator investigating the case, attorney Vernon Ramos López, is missing and presumed dead. The attack upon Gordon took place in a park near the former offices of Financial Pacific, where he was expected to continue to examine the company's books and records, as the lead investigator in the case. The case has drawn attention from international human rights groups, as the whistle blower, Maytee Pelegrini, a former financial pacific employee who is being held incommunicado by the authorities, without being allowed to met with her attorneys, or the media, has alleged that the government is engaged in a massive cover-up of the facts, due to the involvement of so many senior government officials. Many Panama observers are awaiting the arrival of the country's newly-elected president, Varela, who is a reformer, to see whether there will be criminal charges filed. Here's another reason why bankers must, for their own protection, be able to identify a potential Ponzi scheme early one: Insurance companies will assert that you were a part of the scam, and decline coverage for your losses. In a case now pending in US District Court in Florida, a hedge fund that participated in Scott Rothstein's bogus investment scheme, which was actually a billion-dollar Ponzi scheme, sought to recover its losses from its insuror. The company denied coverage, alleging that the hedge fund had cut corner when it came to actually verifying the existence of the out-of-court settlements that were the basis for the investments, as well as failing to confirm funds allegedly on deposit in trust accounts. What obviously happened here was that the hedge fund, earning obscenely high "returns" routinely signed off on the due diligence that it was required to perform, without doing it. Now the insuror is using the hedge fund's negligence to deny payment. Translate that to a bank-customer situation, and understand that a client relationship officer, elated with high cash flow from a client, will take shortcuts when it comes to compliance. When the Ponzi scheme implodes, the bank could be left with a huge loss. All bank officers should receive extensive training in the red flags of Ponzi scheme activity. The United States Supreme Court has declined to hear Argentina's appeal of a lower court decision that required that South American nation to honor outstanding Sovereign bonds that the country defaulted upon a decade ago, ahead of any other government debt. The holders of these bonds, who had refused to accept severely discounted debt in exchange, are seeking payment, and pursuing Argentina's global assets. 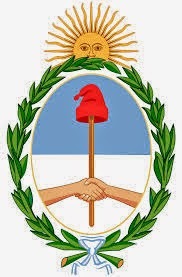 For political as well as fiscal reasons, Argentina has sought to evade its obligations, and if it ends up paying out $15bn to these creditors, or alternatively, it defaults, the net results will not be good for the Argentinian economy, rate of unofficial international exchange of its currency with the dollar, and fears in the international financial community over receiving full payment on future indebtedness issued by the country. Under the circumstances, and considering the knock-on effect of this decision, it is prudent to raise County Risk on Argentina at this time. 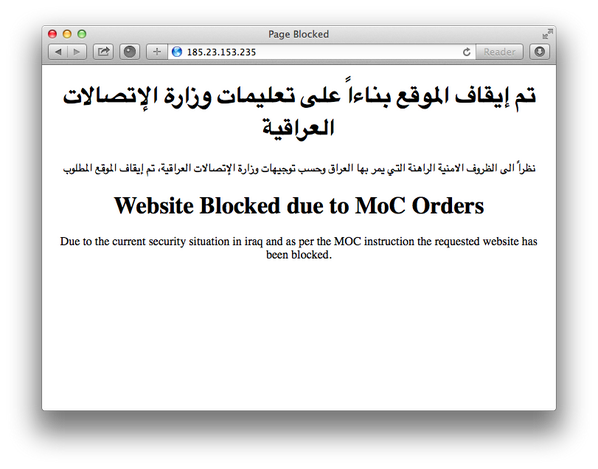 The Iraqi Ministry of Communications has advised that it will be blocking access to Facebook, Twitter and YouTube, ostensibly to prevent the ISIL from communicating with its followers. The problem is, for compliance officers who need to conduct KYC on Iraqi nationals seeking to open accounts with them, any interference with social networking sites in Iraq may result in the inability to access potential negative information, or obtain verification of information proffered by the client. Given that a number of banks in northern Iraq have reportedly been looted by the ISIL, a large swath of Iraqi territory is now under control of that terrorist organization, and the country fears an invasion of its capital, you may see an influx of wealthy Iraqis, bearing "flight capital" in US Dollars, but it is imperative that you positively confirm their Source of Funds, prior to account opening. This may prove to be impossible at this time, requiring you to decline the business. Remember, there are a lot of dirty dollars still hiding in Iraq, stolen from the US Government reconstruction program, from illicit war profiteering, bribes and kickbacks, and other illegal acts. In the present climate of civil litigation against bankers, those who allow AML or CFT deficiencies that result in regulatory action, and who are failing to maintain an effective and robust compliance program at their bank, are at risk. I have seen seven major civil law firms posting news releases this week, seeking to contact existing shareholders of The Bancorp Inc., the bank holding company of Bancorp Bank. Readers who have not yet read my recent article about regulatory action against the bank can find it here; it was posted on June 11. Scroll down to access it, or click on the link on the lower right-hand corner of this blog, where the titles of prior articles appear as hyperlinks. It is fifth from the top. The value of the bank's stock continues to fall, increasing the measure of damages for the potential plaintiffs. Securities consultants have retreated from their pre-Consent Order recommendations for investors to purchase Bancorp stock, which may cause even further decline in the stock's market price. Reports from individuals with personal knowledge indicate that the Customer Identification program at Bancorp Bank did not meet the generally accepted standards of banking best practices, and in many instances, not even the full names of customers were not obtained at account opening, which may indicate that there was compliance malpractice. The utter arrogance of any bankers who do not believe they must properly identify their customers amazes me in the post 9/11 environment. If you are contacted by any former Bancorp compliance staff seeking employment at your bank in the future, please show them the door. 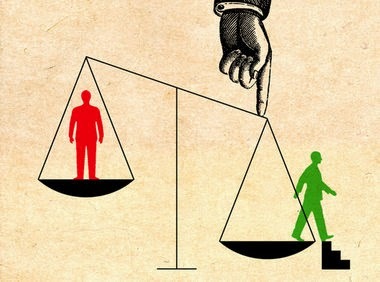 Which bank officers and directors are to be named as parties defendant is not known, but senior bank management are generally the usual targets of such litigation, as well as those in command of the compliance program. A Bancorp press release claims that it has already implemented "multiple upgrades", and hired a "qualified" BSA/AML officer, but one certainly wonders whether these statements are merely for public relations purposes, and whether there is any factual basis for them. 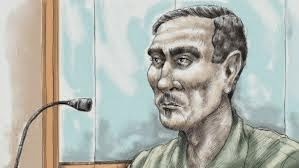 The trial judge in Richard Chichakli's Federal criminal case has scheduled a competency hearing for June 24, in the US District Court in Manhattan. He has been examined by a qualified medical professional, and a report filed, though not publicly available. Apparently there was also some issue about the examiner, regarding what connection he had to defense counsel, Mr. Dinnerstein, but that does not appear to be improper, as counsel's prior contacts with the individual were fully disclosed to the Court in a letter, which is in the court file. It may be important to note that the Court has not yet made a ruling upon any of the defendant's post-trial motions, including a motion for a new trial. Until those motions are disposed of, Chichakli cannot be sentenced. 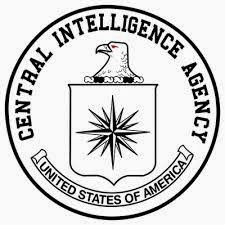 It is probable that any determination or finding, by the Court, that the defendant is not competent, either to assist in his own defense, or on a broader basis, will again raise the issue of whether the Government does not want certain information, detailing certain activities of Viktor Bout and Richard Chichakli, on behalf of the the shadowy American intelligence community, to be publicly disclosed at a retrial of this case. 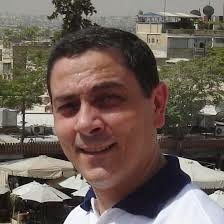 Was Chichakli working covertly for the United States while under OFAC sanctions ? It is assumed that much of this information is classified, but that which is not, if made known to the Court, could possitively affect a jury's impression of this defendant, and perhaps even affect the Court's assessment, favorably, for the purposes of sentencing. Is that why he has tried so hard to get in into the record ? Readers of this blog have been writing and asking about the status of this case, so we are providing an update.The June sentencing of the owner of Mutual Benefits Corp., the life settlement firm that was a $1.2bn Ponzi scheme, has been reset to July 18th at 9 AM. Counsel for Joel Steinger had requested a delay, to allow him to properly prepare for the hearing, to which the Court has now assigned two hours. Given the ten year sentence recently meted out to the former Mutual Benefits trustee, Fort Lauderdale attorney Anthony Livoti, many court observers believe that Mr. Steinger will receive a life sentence, rather than the 50-year sentence some have calculated that he will get, because the length of the sentence given to Livoti was twice what was expected. Given that Mutual Benefits was reportedly the largest life settlement operating in the United States, and investors sustained huge losses, the sentences of those involved have been lengthy. We will update you when more information becomes available. Stuart Rosenfeldt, a name partner in Fort Lauderdale Ponzi schemer Scott Rothstein's law firm, entered a plea of guilty this week, to a number of charges, in a US District Court in Florida. Rosenfeldt admitted that he engaged in bank fraud to maintain the ongoing Ponzi scheme, that he broke Federal campaign contribution laws, and that he violated the rights of individuals, to preserve the secrecy surrounding an affair that he has been having. The defendant faces a maximum of five years in Federal Prison. Sentencing has been set for September 24, and he remains free on bond. 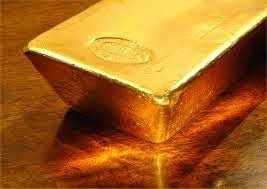 If you have been following the news from Iraq this week, you know that the Islamic terrorist group, ISIS has seized billions of Iraqi Dinars, in Mosul, at a facility of the Central Bank, and then raided all the private banks in the city, stealing a large amount of cash and gold bullion. Twenty months ago, I warned my readers that Country Risk levels for Iraq had reached the level where all financial exposure and investment there should be terminated. Now, with the terrorists closing in on the capital, I am hoping that everyone took that advice to heart, and is no longer exposed there. 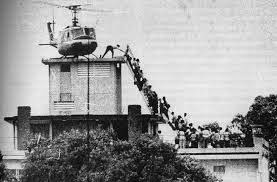 The United States has announced plans to evacuate the American Embassy, if necessary. 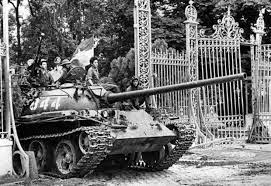 Is this Saigon 1975 revisited ? Delaware-based Bancorp Bank, one of the largest issuers of prepaid cards, has stipulated to the entry of a Consent Order, reportedly due to fatal weaknesses in the bank's BSA compliance program. Its holding company, The Bancorp. Inc., in an 8-K filing with the Securities & Exchange Commission, has disclosed that the Order, based upon a stipulation, became effective on June 5, 2014; the value of its parent's stock immediately declined 28%. A Pennsylvania law firm is notifying investors in the bank's securities to join in a proposed class action civil suit against the bank holding company, the stated grounds being the BSA deficiencies. (1) Appoint a qualified BSA/OFAC officer. (2) Revise its written BSA Compliance Program, and develop additional procedures for monitoring and reporting suspicious transactions. (3) Perform a look-back into previous account activity. (5) Adopt an independent testing program, to insure adherence to better BSA standards. (7) Augment Board of Directors oversight on BSA activities. (A) Sign or onboard new independent sales organizations. (B) Issuing any new non-benefit related reloadable prepaid card programs. (C) Originating any ACH transactions new merchant-related payments. These are, in essence, total restrictions upon the bank's ability to expand its book of business, until it gets it right on compliance issues. One can only hope that the bank's leadership gets the message, because in the current law enforcement climate, they may be at risk, individually, for indictments down the road, if they fail to meaningfully raise the level of AML compliance to banking best practices, and get caught with their proverbial pants down again. WHY WERE VIDEO CAMERAS IN RICHARD CHICHACKLI'S FEDERAL CRIMINAL TRIAL ? Just when you thought that Richard Chichakli had completely exhausted all possible grounds for a new trial, he drops a bomb. In a letter to the Court*, dated May 31, 2014, the defendant inquires about the unusual presence of video cameras in the courtroom during the trial. He claims, for the first time, that the presence of a camera in the courtroom seriously distracted him, and was prejudicial at his trial. Media photography, both still and video, is prohibited by law in the Federal Court system, in the trial courts. A pilot program, a couple of years ago, was strictly limited to a small number of Districts, in civil cases only, and it has expired. (1) On whose authority was the video recording camera installed ? (2) For what purpose was the video recording installed, and for whose benefit was the recording made ? (3) Why was the camera only pointing at the defendant, and not to the other courtroom participants ? (4) Who is using, or used, the recording ? Finally, the defendant demanded a copy of the recording. (A) The video equipment was sitting in that courtroom for another case, to provide a closed-circuit live feed for a case where there was great public interest, ACLU vs. Clapper, and an overflow courtroom was available to accommodate them. The trial judge has the authority to order this type of arrangement, for the purpose of public access to the courts. (B) There was no recording made of the Chichakli trial. 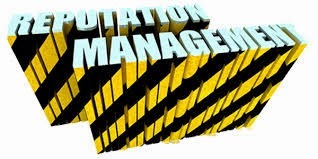 In any event, the video unit does not record proceedings; no tape are made of proceedings making use of live video feed. There was no recording of the Chichakli case, or any other case, in that courtroom. (C) The camera was pointed at the podium, where counsel in the other case were making oral arguments. (Remember, Chichakli, being Pro Se, was at that podium during his trial). Thus, no Federal laws and rules of procedure were broken, regarding unauthorized recording of a Federal criminal trial. The Court's ruling: Chichakli's argument, that he has suffered prejudice, was frivolous. * Case No. : 09-cr-1002-WHP (SDNY). 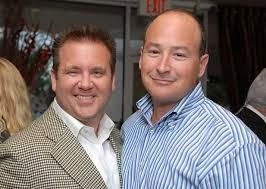 WILL OWNER OF LIFE SETTLEMENT PONZI SCHEME FIRM GET A LIFE SENTENCE WITHOUT PAROLE ? Joel Steinger, the owner and behind-the-scenes CEO* of the defunct Billion-dollar Ponzi scheme, Mutual Benefits Corp., has, through his counsel of record, asked for a delay in his sentencing. His attorney, in a motion filed in US District Court, in a filing, has disclosed that Steinger's suggested sentence, as computed under the US Sentencing Guidelines, is life in prison. With the abolition of Parole in 1987, a life sentence is exactly that; no release is permitted prior to death in custody, as there is no provision for Gain Time for a life sentence. Perhaps as a means to suggest an alternative sentence to the Court, the attorney has also stated that the statutory maximum sentence available is fifty (50) years, which also amounts to life in prison, as Mr. Steinger, due to his present age, would pass on before he was eligible for release. Either way, the outcome is the same. Is this a Draconian sentence, given the damage done to the victims, many of whom lost their life savings ? You be the judge. One of the reasons that counsel wants a delay is to obtain information on Substantial Assistance that Mr. Steinger reportedly rendered to the US Attorney in Fort Lauderdale. Apparently, the primary source of this favorable information is working outside the United States, and not in communication with counsel. He is obviously looking to soften the blow at sentencing. The US Attorney has not filed a request for a Downward Departure, due to the rendering of Substantial Assistance, so whether this ploy will be effective is doubtful, but counsel has the obligation to zealously represent his client, even though he has been reviled by his many victims. The June 6 sentencing data previously scheduled has come and gone, but without a ruling on a new date. Will will advise our readers as soon as any new information is publicly available. * Peter Lombardi, who served as the official company head, as Steinger's criminal convictions, and regulatory rulings made him ineligible to serve, was sentenced to 20 years, but his sentence was later reduced to 80 months. He will be released next month, after having served less than seven years in Federal Prison. HOW MANY MONEY LAUNDERERS UNDER THE MICROSCOPE ARE PARKING THEIR DRUG CASH IN FREE ZONES ? 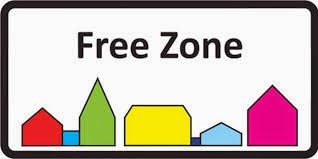 Most businessmen engaged in international trade are familiar with the benefits of free zones, arrival destinations where goods not yet sold can be parked, free of customs duties, by their owners. 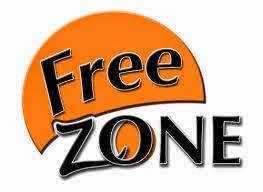 These free zone facilities have, of late, acquired a new class of clientele: high net-worth individuals who store their rare art and antiques, classic automobiles, and other top-drawer possessions there, indefinitely. Geneva, Singapore and Luxembourg are all potential recipients of these personal property items, in their respective free trade zones. Why is this troubling from the a financial crime perspective ? If I am a money launderer for a drug trafficking enterprise, and I find that myself or my clients are under the law enforcement microscope, I may consider parking my clients' drug cash in a free zone warehouse for a period of time, until the law enforcement agency investigating me scales back its inquires, due to a lack of evidence of ongoing bulk cash smuggling or money laundering. Of course, I would choose to disguise my cash, as a valuable art or stamp collection, or antiques, while all the time concealing the money inside worthless items that I am claiming is a priceless accumulation of value. Alternatively, I might actually purchase that Old Master, and store it for a number of years, with art listed an only pieces of lesser value, purchases for long-term appreciation. Remember well, in the world of money laundering, you are only limited by your imagination. As the use of free zones, for storage of prized items, rather than in-transit goods, becomes more common, expect to see financial criminals hide their profits there, effectively withdrawing them from circulation, and effectively preventing them from being seized and forfeited by law enforcement agencies, who are looking in the financial world for the money. WILL MIAMI'S ROLE AS A MONEY LAUNDERER'S TRANSIT HUB INCREASE, DUE TO DIRECT ACCESS TO THE MIDDLE EAST ? One of the things that career money launderers constantly look for, in the print media, is articles that detail the opening of new international airline routes. Why ? Because money laundering depends, in large part, upon the ability of its participants to funnel illicit funds over, and through international borders, both during the wash-dry-fold laundering cycle of placement-layering-integration, as well as subsequent investment of clean criminal capital. 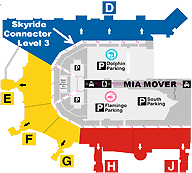 Today's news, that the first non-stop service between Miami and the Arab countries of the Middle East, begins this afternoon, will certainly be noticed, for flights leaving the United States are rarely monitored, other than by the airlines that must insure that passenger have valid passports to travel. The ability to transport financial instruments, precious gems, or even bulk cash, directly into the financial centers of the Middle East, will eliminate the risks of changing planes in Europe. Alternatively, legitimate financial transactions, albeit with laundered criminal profits, residing in lawyer's briefcases arriving at MIA from the Middle East, will be facilitated by the new service. Even if the arriving pasengers' bags & baggage are searched by CBP, documents are seldom examined or read, especially if they are in the possession of professionals. While the new airline route will certainly facilitate the development of legitimate business between Florida and the Middle East, we need to be mindful of the potential financial crime consequences. Let us hope that the appropriate law enforcement agencies are reading this blog today, for I can guarantee you that their financial criminal adversaries already know about the new flights, and may have made reservations already. Has anyone looked at the passenger lists ? 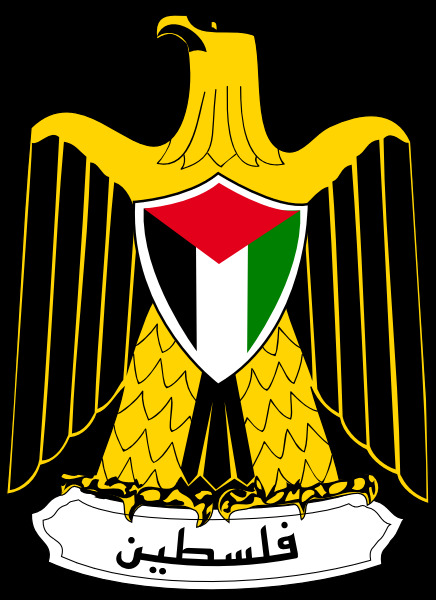 The new Palestinian Unity Government, formed through a merger of Fatah and Hamas, may have been endorsed by both the EU and the US, but there are potential sanctions evasion dangers for any American entities who engage in any financial transactions with any agencies of the Palestinian Authority. Let me explain the problem. Here's where it gets complicated: a former Palestinian negotiator, who has now broken his connection with the PA, has stated that the apolitical "technocrats" who are reportedly now operating the new combined government are indeed political, because the leadership of the PA has boated that they are lying to American representatives. The new government includes Hamas. Note well that the Guidelines specifically warn about dealing with Hamas agents. 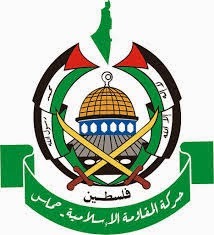 This raises the issue; are any of those technocrats in the new unity government Hamas ? If so, any US person, company or bank, who deals with them could be violating sanctions. My advice is that any American bank that is, in any way, involved in any financial transactions with anyone in the new Palestinian government, obtain absolute proof that their contact is NOT, now has he ever been, affiliated with Hamas. You might want to consider a sworn statement , such as an affidavit, but you want the notary not to be from the PA; I suggest some foreign NGO or other official from a European agency, just not any Palestinians, please, lest another Hamas agent notarize it. 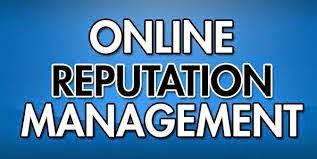 Cleaning up their clients' negative information, be they articles about their arrests, reports of fraudulent conduct, judgments, victim complaints, or regulatory fines & penalties, is but one dirty job that reputation damage firms perform; they also create lies about their customers' adversaries on the Internet. This is done by swapping out the identity of individuals who actually are guilty of negative acts, and inserting the names of their customer's enemies, into each website. The end result is striking; you read, in a wide variety of legitimate newspaper articles, some really disgusting and incriminating news about someone. The truth is, he never committed any of those crimes, but his name appears in the copy. Sometimes, if you read on, you find that the correct name of the offender later appears, but in some cases, the disinformation is complete. I saw this technique when I wrote about the case of Michael Burnbaum*, the convicted former Miami lawyer who attempted to later practice criminal law in New York and New Jersey, and was subsequently disbarred in the State of Massachusetts, for failing to inform it of his cocaine trafficking record. He must have crossed someone in a big way, because pages of articles, showing Mr. Burnbaum as the defendant in a large number of criminal cases, which were not his, appeared on the web. The use of such techniques obviously constitutes libel, but for compliance officers performing KYC, it presents a serious problem. What if your prospective bank customer denies that any of the material you found is true ? What will you do ? Do you have the time to search out the true identity of the guilty parties, or will you decline the customer, and lose his potential business, and risk the information later coming out, to your dismay ? The bottom line: if its on the Internet, it may not only be false, it may be part of a well-orchestrated campaign to slander someone who is innocent. If there ever was a reason to stop using the Internet to perform KYC, this is it. *Who Turned the Tables on Internet Polluter ? PRIVATE BANKS FROM ANDORRA ARE QUIETLY OPERATING IN MIAMI: A PROBLEM ? 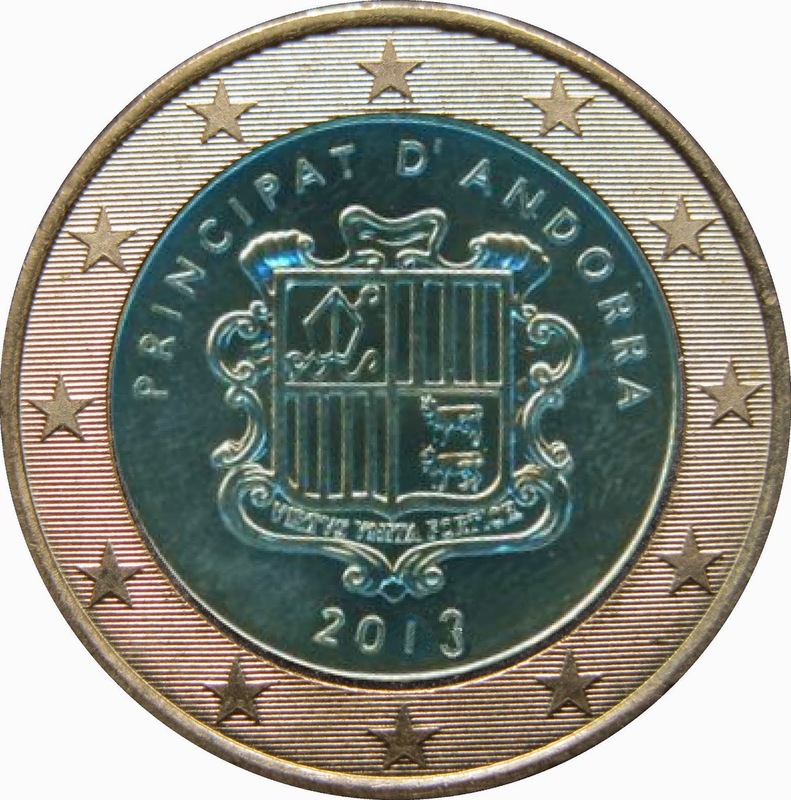 Even though I have been advocating for years that compliance officers be knowledgeable about all the operational tax havens in the world, I would wager than a number of those who work in Miami are not aware of the fact that The Principality of Andorra, according to a number of reports of regulatory and monitoring organizations, still does not meet international anti-money laundering standards. 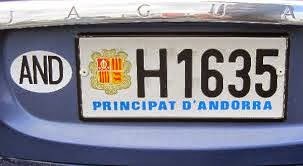 They may not even know that, though Catalan is the official language, French, Spanish and Portuguese are widely spoken. Three banks from Andorra have, without publicity, opened, or bought into, financial service firms in Miami. Two of the companies advertise that they are involved in wealth management, and the third has designated itself a capital management firm. 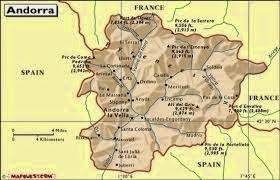 These companies are not branded, so as to inform the casual observer of their ownership by private banks in Andorra. On a risk management basis, I find this a cause for concern. First of all, why Miami ? If these private banks were seeking to penetrate the American market, they would be focusing their attention in New York, or other major US cities where American investors work and live. The Miami offices are obviously targeting high net worth Latin American nationals, many of whom have ties in Miami, due to its proximity to Latin America and its large number of Spanish & Portuguese-speaking businessmen. What troubles me is that money launderers with imagination could exploit the Miami-Andorra connection, as a possible vehicle to move criminal proceeds out of the Continental United States, or alternatively, to climb onto the pipeline of funds coming into America, to invest laundered drug profits in the US, through these Miami firms. Will American compliance officers drill down to learn who owns these companies ? I have my doubts. 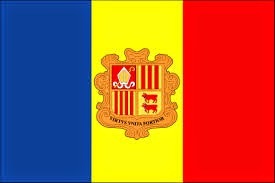 Andorra, which advertises its ten per cent corporate income tax, actively seeks out non-resident businesses intending to operate in the EU, and domicile their company in Andorra. My concern is that Colombian, Mexican and Venezuelan drug trafficking organizations may find a way to clean and invest their US-based "flight capital" through these Miami-based Andorran financial service firms, and that some of it will also be coming into the United States, after having been sufficiently sanitized in Andorra, and given a new identity. 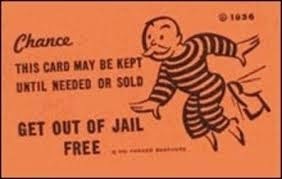 WILL VIKTOR BOUT EVER PLAY HIS TRUMP CARD ?